We live in a world where a photo on Instagram or on social media isn’t just taken and posted: it is carefully planned, taken until the perfect shot is got, then retouched in various editing programs, and only after that posted. Because image is everything. And in the online environment, the pressure is high. 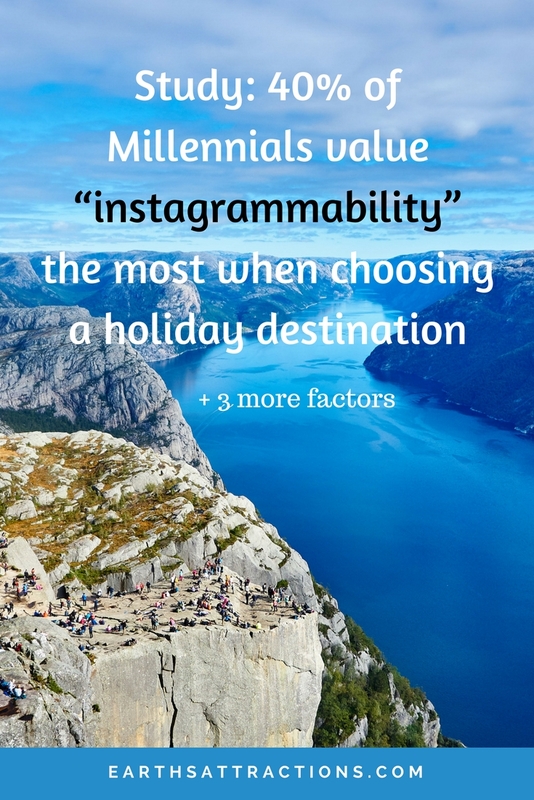 According to a recent study conducted by holiday home insurance company Schofields Insurance, 40.1% of millennials consider “instagrammability” as the most important factor when choosing a holiday destination. In the end, the photos from the vacation have to be perfect, right? What’s maybe even more surprising, is that the second most important factor – Cost/Availability of alcohol – got only 24% of the mentions. ‘Instagrammable’ places plus alcohol – this implies a lot of partying, right? Freedom, maybe? Enjoying life in a splendid décor? 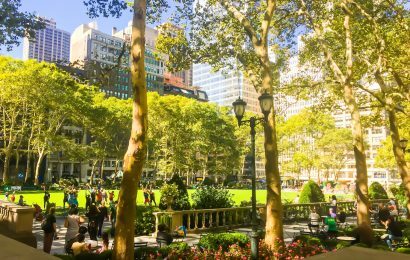 If you’ve recently seen many bloggers posting articles with the most ‘Instagrammable’ places in a given city or country, now you know the reason why. 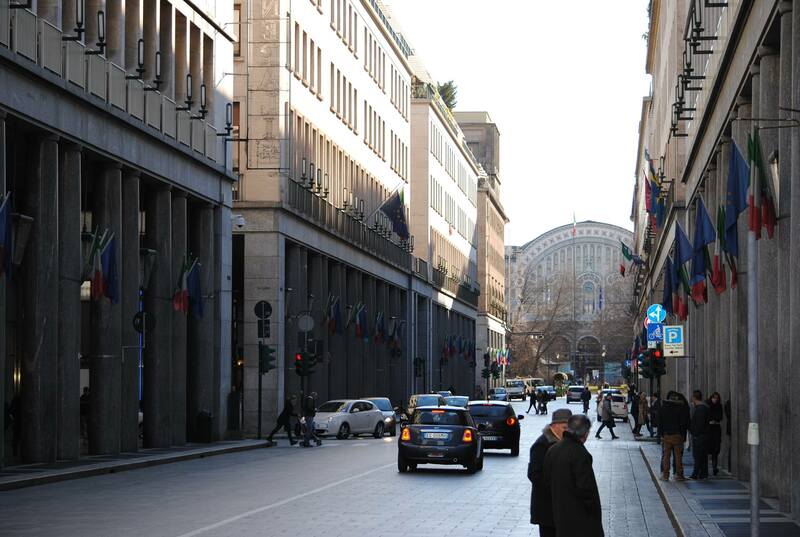 People look for these places, as having the perfect pictures from the vacation seems to be vital. The study was conducted among over 1000 UK adults, aged between 18 and 33. So yes, in order to generalize at a global level a bigger set of people should be questioned. Still, the results are pretty interesting and revealing. I have to admit that for me, the strangest thing is to see the opportunities for sightseeing as the last, and not that important criteria. And it is the same for my daughter – and she is a millennial:) In fact, the first three factors are completely irrelevant for me. 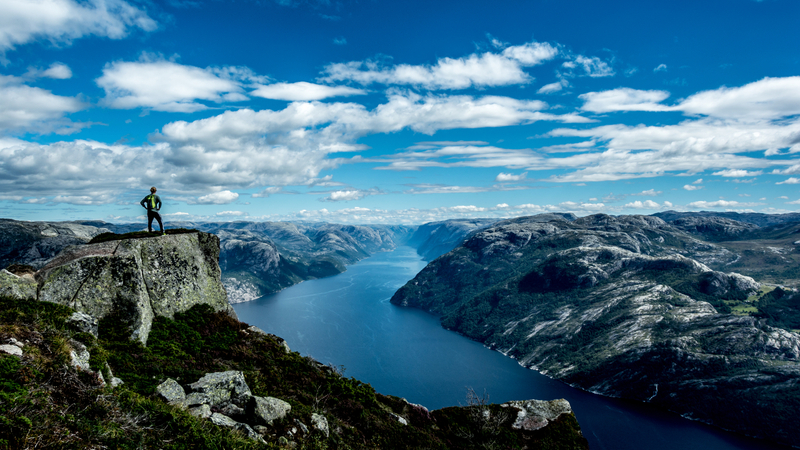 I mean, if I stumble across a place with a great view, good for a photo, fine, if not, such is life. But that’s definitely not how I choose the places I’ll visit next. It’s really interesting to see the results of this study. 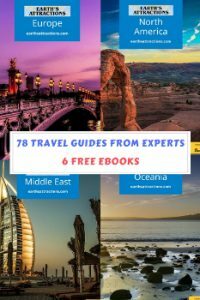 Companies can use them to better plan their promotional strategies just as much as tourism boards or even tourism agencies. 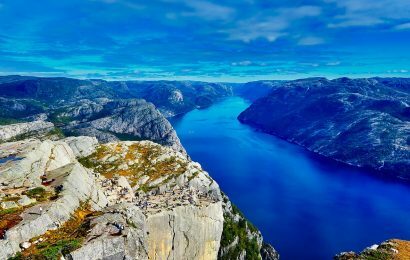 The results are also a great opportunity to see what millennials value the most when it comes to traveling, what they are seeking in a place they are visiting. And maybe the results are also a window into the implications of the social media into daily lives, as it looks that, for some people at least, social media dictates (or at least influences) real life. 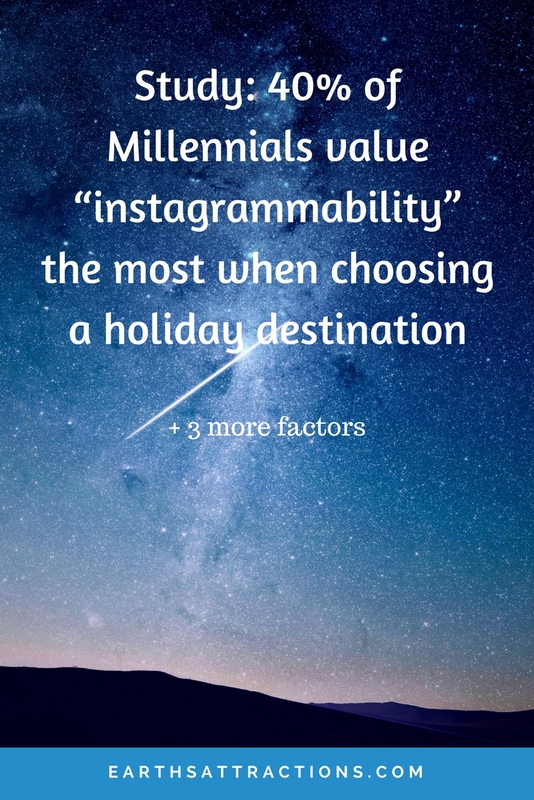 I admit, I wonder why millennials value so much how “instagrammable” a place is when choosing a holiday destination and why they are consider so not-important the sightseeing part. I also see that discovering a new culture wasn’t even on the list:), though I see the third most important factor is self-development. There are definitely a variety of details like that to take into consideration. That could be a great point to deliver up. I provide the ideas above as general inspiration but clearly there are questions just like the one you bring up where crucial factor can be working in trustworthy good faith. I don?t know if best practices have emerged round issues like that, but I am certain that your job is clearly recognized as a fair game. Each boys and girls really feel the influence of just a second’s pleasure, for the rest of their lives. The subsequent time I read a blog, I hope that it doesnt disappoint me as much as this one. I mean, I know it was my choice to read, however I actually thought youd have one thing attention-grabbing to say. All I hear is a bunch of whining about one thing that you can repair when you werent too busy on the lookout for attention. I think everything published made a bunch of sense. However, think on this, what if you added a little content? to possibly grab folk’s attention? 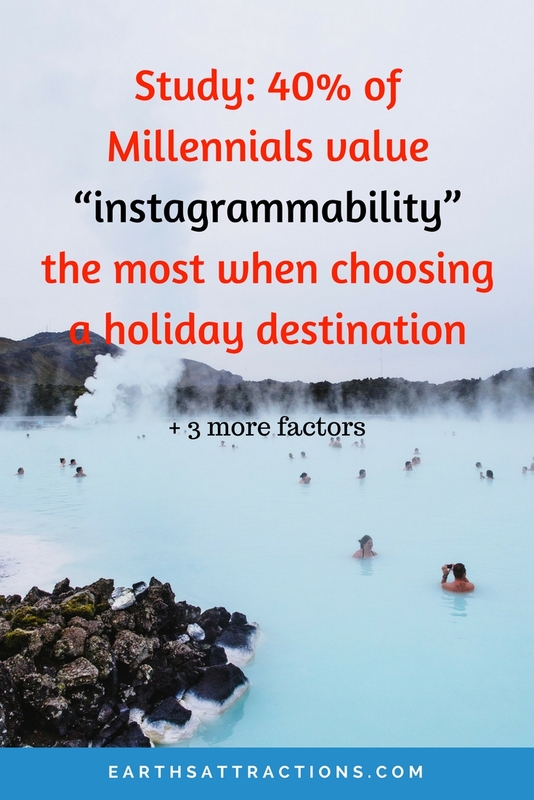 I mean Study: 40% of Millennials value “instagrammability” the most when choosing a holiday destination – Earth's Attractions is a little boring. look your article. Thank you a lot and I am looking ahead to touch you. Can I just say what a aid to find somebody who truly is aware of what theyre talking about on the internet. You positively know the way to convey a problem to mild and make it important. More folks must learn this and understand this aspect of the story. I cant imagine youre no more common because you positively have the gift. I’m impressed, I have to say. Really not often do I encounter a blog that’s each educative and entertaining, and let me let you know, you will have hit the nail on the head. Your thought is excellent; the problem is something that not enough individuals are speaking intelligently about. I am very glad that I stumbled throughout this in my seek for something relating to this. Aw, this was a really nice post. In idea I would like to put in writing like this moreover – taking time and actual effort to make a very good article… however what can I say… I procrastinate alot and under no circumstances appear to get something done. After I initially commented I clicked the -Notify me when new comments are added- checkbox and now every time a remark is added I get four emails with the identical comment. Is there any method you may remove me from that service? Thanks! This web site can be a stroll-via for all of the info you wanted about this and didn’t know who to ask. Glimpse here, and also you’ll positively uncover it. A powerful share, I simply given this onto a colleague who was doing somewhat analysis on this. And he in reality bought me breakfast as a result of I found it for him.. smile. So let me reword that: Thnx for the deal with! However yeah Thnkx for spending the time to discuss this, I really feel strongly about it and love reading extra on this topic. If attainable, as you turn out to be expertise, would you mind updating your weblog with extra particulars? It is highly useful for me. Huge thumb up for this weblog publish! I am typically to running a blog and i really admire your content. The article has actually peaks my interest. I am going to bookmark your website and keep checking for brand new information. I used to be very pleased to seek out this web-site.I wished to thanks for your time for this excellent read!! I undoubtedly having fun with each little little bit of it and I have you bookmarked to check out new stuff you blog post. working correctly in Explorer but looks great in Safari. Do you have any tips to help fix this issue? There are definitely a number of particulars like that to take into consideration. That may be a nice level to bring up. I offer the thoughts above as normal inspiration however clearly there are questions just like the one you bring up the place crucial thing will likely be working in honest good faith. I don?t know if best practices have emerged around issues like that, but I’m certain that your job is clearly recognized as a fair game. Both girls and boys really feel the impact of just a second’s pleasure, for the rest of their lives. You made some decent points there. I seemed on the web for the issue and found most individuals will go along with with your website. I’m usually to running a blog and i really respect your content. The article has really peaks my interest. I am going to bookmark your website and keep checking for brand spanking new information. A powerful share, I simply given this onto a colleague who was doing a little bit analysis on this. And he the truth is bought me breakfast as a result of I discovered it for him.. smile. So let me reword that: Thnx for the deal with! But yeah Thnkx for spending the time to debate this, I feel strongly about it and love studying extra on this topic. If doable, as you grow to be experience, would you thoughts updating your weblog with more details? It’s extremely useful for me. Big thumb up for this blog submit! I am usually to blogging and i really respect your content. The article has really peaks my interest. I am going to bookmark your website and maintain checking for brand spanking new information. There are actually a whole lot of details like that to take into consideration. That may be a great level to convey up. I provide the thoughts above as common inspiration however clearly there are questions just like the one you bring up where an important factor will probably be working in honest good faith. I don?t know if greatest practices have emerged round things like that, but I am positive that your job is clearly identified as a fair game. Each boys and girls really feel the impression of only a second’s pleasure, for the rest of their lives. I’m impressed, I need to say. Actually hardly ever do I encounter a blog that’s both educative and entertaining, and let me tell you, you have got hit the nail on the head. Your concept is outstanding; the issue is one thing that not enough individuals are talking intelligently about. I am very completely satisfied that I stumbled across this in my search for something regarding this.